Like other national literatures, American literature was shaped by the history of the country that produced it. For almost a century and a half, America was merely a group of colonies scattered along the eastern seaboard of the North American continent—colonies from which a few hardy souls tentatively ventured westward. After a successful rebellion against the motherland, America became the United States, a nation. By the end of the 19th century this nation extended southward to the Gulf of Mexico, northward to the 49th parallel, and westward to the Pacific. By the end of the 19th century, too, it had taken its place among the powers of the world—its fortunes so interrelated with those of other nations that inevitably it became involved in two world wars and, following these conflicts, with the problems of Europe and East Asia. Meanwhile, the rise of science and industry, as well as changes in ways of thinking and feeling, wrought many modifications in people’s lives. All these factors in the development of the United States molded the literature of the country. 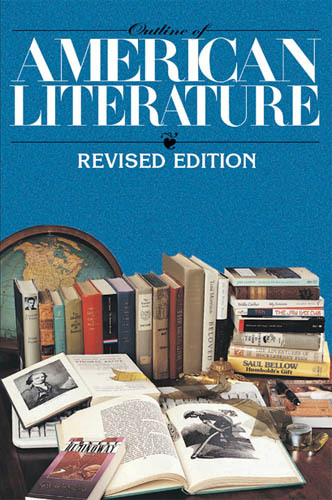 This article traces the history of American poetry, drama, fiction, and social and literary criticism from the early 17th century to the late 20th century. For information about closely related literary traditions. American literature at first was naturally a colonial literature, by authors who were Englishmen and who thought and wrote as such. John Smith, a soldier of fortune, is credited with initiating American literature. His chief books included A True Relation of … Virginia … (1608) and The generall Historie of Virginia, New England, and the Summer Isles (1624). Although these volumes often glorified their author, they were avowedly written to explain colonizing opportunities to Englishmen. In time, each colony was similarly described: Daniel Denton’s Brief Description of New York (1670), William Penn’s Brief Account of the Province of Pennsylvania (1682), and Thomas Ashe’s Carolina (1682) were only a few of many works praising America as a land of economic promise. Such writers acknowledged British allegiance, but others stressed the differences of opinion that spurred the colonists to leave their homeland. More important, they argued questions of government involving the relationship between church and state. The attitude that most authors attacked was jauntily set forth by Nathaniel Ward of Massachusetts Bay in The Simple Cobler of Aggawam in America (1647). Ward amusingly defended the status quo and railed at colonists who sponsored newfangled notions. A variety of counterarguments to such a conservative view were published. John Winthrop’s Journal (written 1630–49) told sympathetically of the attempt of Massachusetts Bay Colony to form a theocracy—a state with God at its head and with its laws based upon the Bible. Later defenders of the theocratic ideal were Increase Mather and his son Cotton. William Bradford’s History of Plymouth Plantation (through 1646) showed how his pilgrim Separatists broke completely with Anglicanism. Even more radical than Bradford was Roger Williams, who, in a series of controversial pamphlets, advocated not only the separation of church and state but also the vesting of power in the people and the tolerance of different religious beliefs. The utilitarian writings of the 17th century included biographies, treatises, accounts of voyages, and sermons. There were few achievements in drama or fiction, since there was a widespread prejudice against these forms. Bad but popular poetry appeared in the Bay Psalm Book of 1640 and in Michael Wigglesworth’s summary in doggerel verse of Calvinistic belief, The Day of Doom (1662). There was some poetry, at least, of a higher order. Anne Bradstreet of Massachusetts wrote some lyrics published in The Tenth Muse (1650), which movingly conveyed her feelings concerning religion and her family. Ranked still higher by modern critics is a poet whose works were not discovered and published until 1939: Edward Taylor, an English-born minister and physician who lived in Boston and Westfield, Massachusetts. Less touched by gloom than the typical Puritan, Taylor wrote lyrics that showed his delight in Christian belief and experience. All 17th-century American writings were in the manner of British writings of the same period. John Smith wrote in the tradition of geographic literature, Bradford echoed the cadences of the King James Bible, while the Mathers and Roger Williams wrote bejeweled prose typical of the day. 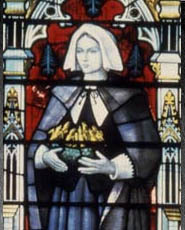 Anne Bradstreet’s poetic style derived from a long line of British poets, including Spenser and Sidney, while Taylor was in the tradition of such Metaphysical poets as George Herbert and John Donne. Both the content and form of the literature of this first century in America were thus markedly English. John Smith, (baptized January 6, 1580, Willoughby, Lincolnshire, England—d. June 21, 1631, London), English explorer and early leader of the Jamestown Colony, the first permanent English settlement in North America. Smith played an equally important role as a cartographer and a prolific writer who vividly depicted the natural abundance of the New World, whetting the colonizing appetite of prospective English settlers. Smith grew up on his family’s farm and was apprenticed in his teens to a wealthy merchant. At age 16 or 17, his adventuresome spirit found an outlet on the battlefields of continental Europe, where he fought for the Netherlands in its war of independence from Spain. Having returned to England by 1599, he spent about two years reading classical military texts and studying horsemanship. He then traveled to Hungary in 1601 as a mercenary to join Austrian forces fighting the Ottoman Empire; he advanced to the rank of captain. Captured by the enemy the following year and taken to Turkey, he escaped to Russia and returned to England in 1604 or 1605. He then attached himself to a group preparing to establish an English colony in North America. When a royal charter was granted to the Virginia Company of London, Smith and about 100 other colonists led by Christopher Newport set sail on December 20, 1606. On April 26, 1607, the voyagers arrived at the Chesapeake Bay, and on May 14 they disembarked at what was to become Jamestown. The Virginia Company had named Smith to the colony’s seven-member governing council. His relationship with the colony’s other leaders was generally antagonistic, his focus being on the practical means of survival in the wilderness rather than on personal privileges and status. He traded for corn (maize) with the local Indians and began a series of river voyages that later enabled him to draw a remarkably accurate map of Virginia. While exploring the Chickahominy River in December 1607, he and his party were ambushed by members of the Powhatan empire, which dominated the region. He was ultimately taken to their emperor, Chief Powhatan, also known as Wahunsenacah. According to Smith’s account, he was about to be put to death when he was saved by the chief’s young daughter of age 10 or 11, Pocahontas, who placed herself between him and his executioners. 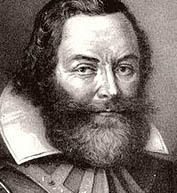 Smith became president of the Jamestown Colony on September 10, 1608. He conducted military training and continued to secure corn from the Indians by trade. He required greater discipline of the colonists, announcing a policy that "he that will not worke shall not eate (except by sicknesse he be disabled)." Colonists had previously been fed from a common storehouse whether they worked or not. Under Smith’s direction, small quantities of tar, pitch, and soap ash were made, a well was dug, houses were built, fishing was done regularly, crops were planted, and outlying forts were built. The colony bore little loss of life during his presidency, compared with the enormous suffering and mortality of the years before and after his rule. In his dealings with Native Americans, Smith’s approach differed from those of the Spanish conquistadores and later English settlers. Smith chose to keep the Powhatan empire at bay through psychology, diplomacy, and intimidation—not massacre. He believed the English could avoid bloodshed by projecting an image of strength. When Smith was injured from a fire in his powder bag in September 1609, he was forced to return to England. Still eager to explore and settle in America, Smith made contact with the Plymouth Company and sailed in 1614 to the area he named New England, carefully mapping the coast from Penobscot Bay to Cape Cod. On another exploratory voyage the following year, he was captured by pirates and returned to England after escaping three months later. In 1617 he made one final colonizing attempt, but his vessels were unable to leave port for three months for lack of winds, and he never set sail. Smith advocated English settlement of New England for the rest of his life, but he never saw North America again. His writings include detailed descriptions of Virginia and New England, books on seamanship, and a history of English colonization. Among his books are A Description of New England (1616), a counterpart to his Map of Virginia with a Description of the Country (1612); The Generall Historie of Virginia, New England, and the Summer Isles (1624); and The True Travels, Adventures, and Observations of Captain John Smith in Europe, Asia, Africa, and America (1630). The Mayflower colonists of 1620 brought his books and maps with them to Massachusetts. Smith died of an unrecorded illness midway through 1631, at age 51, in the London home of Sir Samuel Saltonstall, a friend. During the founding years of the United States in the late 18th and the early 19th century, Smith was widely regarded as a reliable observer as well as a national hero. Thomas Jefferson described him as "honest, sensible, and well informed." Some historians have contended that Smith was prone to self-promotion in his writings. Yet his writings are notably generous in giving credit to others who helped the colony survive, and scholars have confirmed factual details of his autobiographical writing. Smith’s account of his rescue by Pocahontas in 1607 has been particularly controversial. Some scholars believe he might have misunderstood the event—that it could have been an adoption ceremony rather than an intended execution—and others contend that he fabricated the incident outright. With regard to the truthfulness of Smith’s account, it has been argued that he had little reason to concoct such an episode. Because Smith was the only English eyewitness to the incident and the Powhatan witnesses left no written record, the debate over it may never be conclusively resolved. William Penn, (b. Oct. 14, 1644, London, Eng.—d. July 30, 1718, Buckinghamshire), English Quaker leader and advocate of religious freedom, who oversaw the founding of the American Commonwealth of Pennsylvania as a refuge for Quakers and other religious minorities of Europe. William was the son of Admiral Sir William Penn. He acquired the foundations of a classical education at the Chigwell grammar school in the Essex countryside, where he came under Puritan influences. After Admiral Penn’s naval defeat in the West Indies in 1655, the family moved back to London and then to Ireland. In Ireland William heard Thomas Loe, a Quaker itinerant, preach to his family at the admiral’s invitation, an experience that apparently intensified his religious feelings. In 1660 William entered the University of Oxford, where he rejected Anglicanism and was expelled in 1662 for his religious Nonconformity. Determined to thwart his son’s religiosity, Admiral Penn sent his son on a grand tour of the European continent and to the Protestant college at Saumur, in France, to complete his studies. Summoned back to England after two years, William entered Lincoln’s Inn and spent a year reading law. This was the extent of his formal education. In 1666 Admiral Penn sent William to Ireland to manage the family estates. There he crossed paths again with Thomas Loe and, after hearing him preach, decided to join the Quakers (the Society of Friends), a sect of religious radicals who were reviled by respectable society and subject to official persecution. After joining the sect, Penn would eventually be imprisoned four times for publicly stating his beliefs in word and print. He published 42 books and pamphlets in the seven years immediately following his conversion. In his first publication, the pamphlet Truth Exalted (1668), he upheld Quaker doctrines while attacking in turn those of the Roman Catholics, the Anglicans, and the Dissenting churches. It was followed by The Sandy Foundation Shaken (1668), in which he boldly questioned the Trinity and other Protestant doctrines. Though Penn subsequently qualified his anti-Trinitarianism in Innocency with Her Open Face (1669), he was imprisoned in the Tower of London, where he wrote his most famous book, No Cross, No Crown (1669). In this work he expounded the Quaker-Puritan morality with eloquence, learning, and flashes of humour, condemning the worldliness and luxury of Restoration England and extolling both Puritan conceptions of ascetic self-denial and Quaker ideals of social reform. 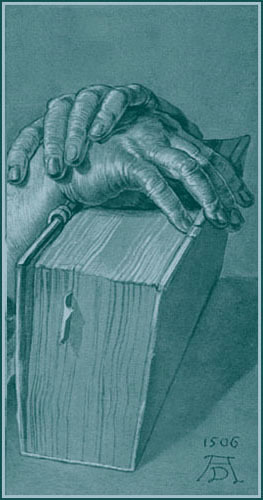 No Cross, No Crown stands alongside the letters of St. Paul, Boethius’s Consolation of Philosophy, and John Bunyan’s Pilgrim’s Progress as one of the world’s finest examples of prison literature. Penn was released from the Tower in 1669. That same year Penn also had an unexpected opportunity to strike another blow for freedom of conscience and for the traditional rights of all Englishmen. On Aug. 14, 1670, the Quaker meetinghouse in Gracechurch Street, London, having been padlocked by the authorities, he preached in the street to several hundred persons. After the meetings, he and William Mead were arrested and imprisoned on a trumped-up charge of inciting a riot. At his trial in the Old Bailey, Penn calmly and skillfully exposed the illegality of the proceedings against him. The jury, under the leadership of Edward Bushell, refused to bring in a verdict of guilty despite threats and abusive treatment. For their refusal the jurymen were fined and imprisoned, but they were vindicated when Sir John Vaughan, the lord chief justice, enunciated the principle that a judge “may try to open the eyes of the jurors, but not to lead them by the nose.” The trial, which is also known as the “Bushell’s Case,” stands as a landmark in English legal history, having established beyond question the independence of the jury. A firsthand account of the trial, which was a vivid courtroom drama, was published in The People’s Ancient and Just Liberties Asserted (1670). Admiral Penn died in 1670, having finally become reconciled to his son’s Quakerism. Young Penn inherited his father’s estates in England and Ireland and became, like his father, a frequenter of the court, where he enjoyed the friendship of King Charles II and his brother, the duke of York (later James II). In 1672 Penn married Gulielma Springett, a Quaker by whom he had eight children, four of whom died in infancy. In the 1670s Penn was tirelessly active as a Quaker minister and polemicist, producing no fewer than 40 controversial tracts on religious doctrines and practice. In 1671 and 1677 he undertook preaching missions to Holland and northern Germany, where the contacts he established would later help him in peopling Pennsylvania with thousands of Dutch and German emigrants. The later years of the decade were also occupied with political activities. In 1679 Penn supported the Parliamentary candidacy of the radical republican Algernon Sidney, going on the hustings twice—at Guildford and later at Bramber—for his friend. During these years he wrote a number of pamphlets on behalf of the radical Whigs, including England’s Great Interest in the Choice of this New Parliament (1679), which is noteworthy as one of the first clear statements of party doctrine ever laid before the English electorate. 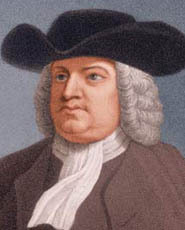 As proprietor, Penn seized the opportunity to create a government that would embody his Quaker-Whig ideas. In 1682 he drew up a Frame of Government for the colony that would, he said, leave himself and his successors “no power of doing mischief, that the will of one man may not hinder the good of a whole country.” Freedom of worship in the colony was to be absolute, and all the traditional rights of Englishmen were carefully safeguarded. The actual machinery of government outlined in the Frame proved in some respects to be clumsy and unworkable, but Penn wisely included in the Frame an amending clause—the first in any written constitution—so that it could be altered as necessity required. Penn himself sailed in the Welcome for Pennsylvania late in 1682, leaving his family behind, and found his experiment already well under way. The city of Philadelphia was already laid out on a grid pattern according to his instructions, and settlers were pouring in to take up the fertile lands lying around it. Presiding over the first Assembly, Penn saw the government of the “lower counties” united with that of Pennsylvania and the Frame of Government incorporated in the Great Law of the province. In a series of treaties based on mutual trust, he established good relations with the Lenni Lenape Indians. He also held an unsuccessful conference with Lord Baltimore, the proprietor of the neighbouring province of Maryland, to negotiate a boundary between it and Pennsylvania. When this effort proved unsuccessful, Penn was obliged in 1684 to return to England to defend his interests against Baltimore. Before his return, he published A Letter to the Free Society of Traders (1683), which contained his fullest description of Pennsylvania and included a valuable account of the Lenni Lenape based on firsthand observation. With the accession of his friend the duke of York as James II in 1685, Penn found himself in a position of great influence at court, whereby he was able to have hundreds of Quakers, as well as political prisoners such as John Locke, released from prison. Penn welcomed James’s Declaration of Indulgence (1687) but received some criticism for doing so, since the declaration provided religious toleration at the royal pleasure rather than as a matter of fundamental right. But the Act of Toleration (1689), passed after James’s abdication, finally established the principle for which Penn had laboured so long and faithfully. Penn’s close relations with James brought him under a cloud when William and Mary came to the throne, and for a time he was forced to live virtually in hiding to avoid arrest. He used this period of forced retirement to write more books. Among them were An Essay Towards the Present and Future Peace of Europe (1693), in which he proposed an international organization to prevent wars by arbitrating disputes, and A Brief Account of the Rise and Progress of the People Called Quakers (1694), which was the earliest serious effort to set down the history of the Quaker movement. Penn also drafted (1696) the first plan for a future union of the American colonies, a document that presaged the U.S. Constitution. In 1696, his first wife having died in 1694, Penn married Hannah Callowhill, by whom he had seven children, five of whom lived to adulthood. Meanwhile, affairs had been going badly in Pennsylvania. For about two years (1692–94), while Penn was under suspicion, the government of the colony had been taken from him and given to that of New York. Afterwards, Pennsylvania’s Assembly quarreled constantly with its Council and with Penn’s deputy governors. The “lower counties” were unhappy at being unequally yoked with the larger province of Pennsylvania. Relations with the home government were strained by the Quakers’ conscientious refusal to provide military defense. In 1699 Penn, his wife, and his secretary, James Logan, returned to the province. He settled many of the outstanding difficulties, though he was compelled to grant the Pennsylvania Assembly preeminence in 1701 in a revised constitution known as the Charter of Privileges. He also allowed the lower counties to form their own independent government. After less than two years Penn’s affairs in England demanded his presence, and he left the province in 1701, never to see it again. He confided his Pennsylvania interests to the capable hands of James Logan, who upheld them loyally for the next half century. Penn’s final years were unhappy. His eldest son, William, Jr., turned out a scapegrace. Penn’s own poor judgment in choosing his subordinates (except for the faithful Logan) recoiled upon him: his deputy governors proved incompetent or untrustworthy, and his steward, Philip Ford, cheated him on such a staggering scale that Penn was forced to spend nine months in a debtors’ prison. In 1712, discouraged at the outcome of his “holy experiment,” Penn began negotiations to surrender Pennsylvania to the English crown. A paralytic stroke, which seriously impaired his memory and dulled his once-keen intellect, prevented the consummation of these negotiations. Penn lingered on, virtually helpless, until 1718, his wife undertaking to manage his proprietary affairs. Penn’s collected works were published in 1726. John Winthrop, (b. Jan. 22 [Jan. 12, Old Style], 1588, Edwardstone, Suffolk, Eng.—d. April 5 [March 26], 1649, Boston, Massachusetts Bay Colony [U.S.]), first governor of the Massachusetts Bay Colony, the chief figure among the Puritan founders of New England. Winthrop’s father was a newly risen country gentleman whose 500-acre (200-hectare) estate, Groton Manor, had been bought from Henry VIII at the time of the Reformation. Winthrop thus belonged to a class—the gentry—that became the dominant force in English society between 1540 and 1640, and he early assumed the habit of command appropriate to a member of the ruling class in a highly stratified society. At age 15 he entered Trinity College, Cambridge; at age 17 he married the first of his four wives—Mary Forth, daughter of an Essex squire—and the next year the first of his 16 children was born. Like many members of his class, Winthrop studied law, served as justice of the peace, and obtained a government office; from 1627 to 1629 he was an attorney at the Court of Wards and Liveries. For more than 20 years Winthrop was primarily a country squire at Groton, with no discernible interest in overseas colonization. During the late 1620s, Winthrop felt increasingly trapped by the economic slump that reduced his landed income and by Charles I’s belligerent anti-Puritan policy, which cost him his court post in 1629. When, in 1629, the Massachusetts Bay Company obtained a royal charter to plant a colony in New England, Winthrop joined the company, pledging to sell his English estate and take his family to Massachusetts if the company government and charter were also transferred to America. The other members agreed to these terms and elected him governor (October 20). As Winthrop sailed west on the Arbella the spring of 1630, he composed a lay sermon, “A Modell of Christian Charity,” in which he pictured the Massachusetts colonists in covenant with God and with each other, divinely ordained to build “a Citty upon a Hill” in New England. Some critics have seen Winthrop as a visionary utopian, while others have seen him as a social reactionary; but most obviously he was urging his fellow colonists to adopt the combination of group discipline and individual responsibility that gave Massachusetts such immediate and lasting success as a social experiment. For the remaining 19 years of his life, Winthrop lived in the New England wilderness, a father figure among the colonists. In the annual Massachusetts elections he was chosen governor 12 times between 1631 and 1648, and during the intervening years he sat on the court of assistants or colony council. His American career passed through three distinct phases. On first arrival, in the early 1630s, he did his most creative work, guiding the colonists as they laid out a network of tightly organized towns, each with its church of self-professed saints. Winthrop himself settled at Boston, which quickly became the capital and chief port of Massachusetts. His new farm on the Mystic River was much inferior to his former estate at Groton, but Winthrop never regretted the move because he was free at last to build a godly commonwealth. Opposition against him built up after a few years, however, as dissidents kept challenging Winthrop’s system in the mid- and late 1630s. He was nettled when the freemen (voters) insisted in 1634 on electing a representative assembly to share in decision making. He found Roger Williams’ criticism of church–state relations intolerable, though he secretly helped Williams to flee to Rhode Island in 1636. And he took it as a personal affront when numerous colonists chose to migrate from Massachusetts to Connecticut. The greatest outrage to Winthrop by far, however, came when Anne Hutchinson, a mere woman, gained control of his Boston church in 1636 and endeavoured to convert the whole colony to a religious position that Winthrop considered blasphemous. It was he who led the counterattack against her. His victory was complete. Hutchinson was tried before the general court—chiefly for “traducing the ministers”—and was sentenced to banishment. Later she was tried before the Boston church and formally excommunicated. She established a settlement on Aquidneck Island (now Rhode Island) in 1638 and four years later, after the death of her husband, settled on Long Island Sound. Winthrop sanctimoniously noted her tragic misfortunes—her deformed stillborn baby and her murder by Indians—as proof of God’s judgment against heretics. By 1640 Winthrop had become the custodian of Massachusetts orthodoxy, suspicious of new ideas and influences and convinced that God favoured his community above all others. With the outbreak of the English Civil War in 1642, many New Englanders returned home to fight against Charles I. Winthrop, however, stayed on in America, and he criticized the course of the Puritan Revolution. His own political philosophy was best summed up in a speech of 1645, in which he defined the magistrates’ authority very broadly and the people’s liberty very narrowly. But Winthrop was never a petty tyrant; the colonists respected and loved him to the end. His tender side is best revealed by the loving letters he exchanged with his third wife, Margaret, who was his helpmate from 1618 to 1647. 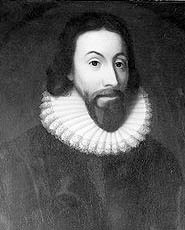 The most notable of his sons, John Winthrop the Younger (1606–76), was a talented scientist and governor of Connecticut. Later descendants have figured prominently in American politics, science, and business. After struggling six weeks with “a feverish distemper,” he died, age 61, in the spring of 1649. By force of character Winthrop had persuaded the colonists to adopt many—though by no means all—of his pet social and political ideas. The detailed journal that he kept during his years in America is a prime source for the early history of Massachusetts, and his copious file of correspondence and memoranda gives an exceptionally full impression of his activities and personality. Michael Wigglesworth, (b. Oct. 18, 1631, Yorkshire?, Eng.—d. June 10, 1705, Malden, Mass. [U.S.]), British-American clergyman, physician, and author of rhymed treatises expounding Puritan doctrines. Wigglesworth emigrated to America in 1638 with his family and settled in New Haven. In 1651 he graduated from Harvard College, where he was a tutor and a fellow from 1652 to 1654 and again from 1697 to 1705. He preached at Charlestown, Mass., in 1653–54 and was pastor at Malden from 1656 until his death. In addition to his clerical duties, Wigglesworth practiced medicine and wrote numerous poems, including “A Short Discourse on Eternity,” “Vanity of Vanities,” and God’s Controversy with New England (published 1871). The first two were appended to The Day of Doom: or a Poetical Description of the Great and Last Judgment (1662), a long poem in ballad measure using horrific imagery to describe the Last Judgment. Intended to edify Puritan readers, this work sold 1,800 copies within a year, an unusually high number in its time. Once the most widely read poet of early New England, Wigglesworth declined in popularity together with Puritanism and has since been considered a writer of doggerel verse. A modern edition of The Day of Doom prepared by Kenneth B. Murdock was published in 1929. Anne Bradstreet, née Anne Dudley (b. c. 1612, Northampton, Northamptonshire?, England—d. September 16, 1672, Andover, Massachusetts Bay Colony [U.S.]), one of the first poets to write English verse in the American colonies. Long considered primarily of historical interest, she won critical acceptance in the 20th century as a writer of enduring verse, particularly for her sequence of religious poems, “Contemplations,” written for her family and not published until the mid-19th century. Anne Dudley was the daughter of Thomas Dudley, chief steward to Theophilus Clinton, the Puritan Earl of Lincoln. She married Simon Bradstreet, another protégé of the earl’s, when she was 16, and two years later she, her husband, and her parents sailed with other Puritans to settle on Massachusetts Bay. She wrote her poems while rearing eight children, functioning as a hostess, and performing other domestic duties. The Bradstreets moved frequently in the Massachusetts colony, first to Cambridge, then to Ipswich, and then to Andover, which became their permanent home. Bradstreet’s brother-in-law, without her knowledge, took her poems to England, where they were published as The Tenth Muse Lately Sprung Up in America (1650). The first American edition of The Tenth Muse was published in revised and expanded form as Several Poems Compiled with Great Variety of Wit and Learning (1678). Most of the poems in the first edition are long and rather dully imitative works based on the standard poetic conventions of the time, but the last two poems—“Of the Vanity of All Worldly Creatures” and “David’s Lamentation for Saul and Jonathan”—are individual and genuine in their recapitulation of her own feelings. Her later poems, written for her family, show her spiritual growth as she came fully to accept the Puritan creed. She also wrote more personal poems of considerable beauty, treating in them such subjects as her thoughts before childbirth and her response to the death of a grandchild. These shorter poems benefit from their lack of imitation and didacticism. Her prose works include “Meditations,” a collection of succinct and pithy aphorisms. A scholarly edition of her work was edited by John Harvard Ellis in 1867. In 1956 the poet John Berryman paid tribute to her in Homage to Mistress Bradstreet, a long poem that incorporates many phrases from her writings. Edward Taylor, (b. 1645?, in or near Coventry, Warwickshire, Eng.—d. June 24, 1729, Westfield, Mass. [U.S.]), one of the foremost poets in colonial British North America. Unwilling to subscribe to the required oath of conformity because of his staunch adherence to Congregational principles, Taylor gave up schoolteaching in England, emigrated to New England, and was immediately admitted as a sophomore by the president of Harvard College, Increase Mather. After his graduation in 1671, he became minister in the frontier village of Westfield, Mass., where he remained until his death. He married twice and became the father of 13 children, most of whom he outlived. In America in the early years of the 18th century, some writers, such as Cotton Mather, carried on the older traditions. His huge history and biography of Puritan New England, Magnalia Christi Americana, in 1702, and his vigorous Manuductio ad Ministerium, or introduction to the ministry, in 1726, were defenses of ancient Puritan convictions. Jonathan Edwards, initiator of the Great Awakening, a religious revival that stirred the eastern seacoast for many years, eloquently defended his burning belief in Calvinistic doctrine—of the concept that man, born totally depraved, could attain virtue and salvation only through God’s grace—in his powerful sermons and most notably in the philosophical treatise Freedom of Will (1754). He supported his claims by relating them to a complex metaphysical system and by reasoning brilliantly in clear and often beautiful prose. But Mather and Edwards were defending a doomed cause. 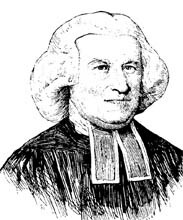 Liberal New England ministers such as John Wise and Jonathan Mayhew moved toward a less rigid religion. Samuel Sewall heralded other changes in his amusing Diary, covering the years 1673–1729. Though sincerely religious, he showed in daily records how commercial life in New England replaced rigid Puritanism with more worldly attitudes. The Journal of Mme Sara Kemble Knight comically detailed a journey that lady took to New York in 1704. She wrote vividly of what she saw and commented upon it from the standpoint of an orthodox believer, but a quality of levity in her witty writings showed that she was much less fervent than the Pilgrim founders had been. In the South, William Byrd of Virginia, an aristocratic plantation owner, contrasted sharply with gloomier predecessors. His record of a surveying trip in 1728, The History of the Dividing Line, and his account of a visit to his frontier properties in 1733, A Journey to the Land of Eden, were his chief works. Years in England, on the Continent, and among the gentry of the South had created gaiety and grace of expression, and, although a devout Anglican, Byrd was as playful as the Restoration wits whose works he clearly admired. The wrench of the American Revolution emphasized differences that had been growing between American and British political concepts. As the colonists moved to the belief that rebellion was inevitable, fought the bitter war, and worked to found the new nation’s government, they were influenced by a number of very effective political writers, such as Samuel Adams and John Dickinson, both of whom favoured the colonists, and loyalist Joseph Galloway. But two figures loomed above these—Benjamin Franklin and Thomas Paine. Franklin, born in 1706, had started to publish his writings in his brother’s newspaper, the New England Courant, as early as 1722. This newspaper championed the cause of the “Leather Apron” man and the farmer and appealed by using easily understood language and practical arguments. The idea that common sense was a good guide was clear in both the popular Poor Richard’s almanac, which Franklin edited between 1732 and 1757 and filled with prudent and witty aphorisms purportedly written by uneducated but experienced Richard Saunders, and in the author’s Autobiography, written between 1771 and 1788, a record of his rise from humble circumstances that offered worldly wise suggestions for future success. Franklin’s self-attained culture, deep and wide, gave substance and skill to varied articles, pamphlets, and reports that he wrote concerning the dispute with Great Britain, many of them extremely effective in stating and shaping the colonists’ cause. Thomas Paine went from his native England to Philadelphia and became a magazine editor and then, about 14 months later, the most effective propagandist for the colonial cause. His pamphlet Common Sense (January 1776) did much to influence the colonists to declare their independence. The American Crisis papers (December 1776–December 1783) spurred Americans to fight on through the blackest years of the war. Based upon Paine’s simple deistic beliefs, they showed the conflict as a stirring melodrama with the angelic colonists against the forces of evil. Such white and black picturings were highly effective propaganda. Another reason for Paine’s success was his poetic fervour, which found expression in impassioned words and phrases long to be remembered and quoted. In the postwar period some of these eloquent men were no longer able to win a hearing. Thomas Paine and Samuel Adams lacked the constructive ideas that appealed to those interested in forming a new government. Others fared better—for example, Franklin, whose tolerance and sense showed in addresses to the constitutional convention. A different group of authors, however, became leaders in the new period—Thomas Jefferson and the talented writers of The Federalist papers, a series of 85 essays published in 1787 and 1788 urging the virtues of the proposed new constitution. They were written by Alexander Hamilton, James Madison, and John Jay. More distinguished for insight into problems of government and cool logic than for eloquence, these works became a classic statement of American governmental, and more generally of republican, theory. At the time they were highly effective in influencing legislators who voted on the new constitution. Hamilton, who wrote perhaps 51 of the Federalist papers, became a leader of the Federalist Party and, as first secretary of the treasury (1789–95), wrote messages that were influential in increasing the power of national government at the expense of the state governments. Thomas Jefferson was an influential political writer during and after the war. The merits of his great summary, the Declaration of Independence, consisted, as Madison pointed out, “in a lucid communication of human rights … in a style and tone appropriate to the great occasion, and to the spirit of the American people.” After the war he formulated the exact tenets of his faith in various papers but most richly in his letters and inaugural addresses, in which he urged individual freedom and local autonomy—a theory of decentralization differing from Hamilton’s belief in strong federal government. Though he held that all men are created equal, Jefferson thought that “a natural aristocracy” of “virtues and talents” should hold high governmental positions. Poetry became a weapon during the American Revolution, with both loyalists and Continentals urging their forces on, stating their arguments, and celebrating their heroes in verse and songs such as Yankee Doodle, Nathan Hale, and The Epilogue, mostly set to popular British melodies and in manner resembling other British poems of the period. The most memorable American poet of the period was Philip Freneau, whose first well-known poems, Revolutionary War satires, served as effective propaganda; later he turned to various aspects of the American scene. Although he wrote much in the stilted manner of the Neoclassicists, such poems as The Indian Burying Ground, The Wild Honey Suckle, To a Caty-did, and On a Honey Bee were romantic lyrics of real grace and feeling that were forerunners of a literary movement destined to be important in the 19th century. In the years toward the close of the 18th century, both dramas and novels of some historical importance were produced. Though theatrical groups had long been active in America, the first American comedy presented professionally was Royall Tyler’s Contrast (1787). This drama was full of echoes of Goldsmith and Sheridan, but it contained a Yankee character (the predecessor of many such in years to follow) who brought something native to the stage. William Hill Brown wrote the first American novel, The Power of Sympathy (1789), which showed authors how to overcome ancient prejudices against this form by following the sentimental novel form invented by Samuel Richardson. A flood of sentimental novels followed to the end of the 19th century. Hugh Henry Brackenridge succeeded Cervantes’s Don Quixote and Henry Fielding with some popular success in Modern Chivalry (1792–1815), an amusing satire on democracy and an interesting portrayal of frontier life. Gothic thrillers were to some extent nationalized in Charles Brockden Brown’s Wieland (1798), Arthur Mervyn (1799–1800), and Edgar Huntly (1799).